This treatment was developed in 2000 and has been used to great effect on our cancer unit. It is a wonderfully relaxing massage using a combination of effleurage movements with specific acupressure circling. 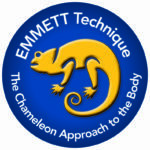 The contact area is across the shoulders, ears, neck, scalp and face, thus working around all the sensory organs and energetically with the central nervous system, whilst easing neck and shoulder tension. The theory behind this massage lies in traditional Chinese medicine, so covers yin and yang, five elements and Chinese face reading from a health perspective. It enables the emotional elements behind disease to be explored. For example, the Chinese will say that grief is held in the Lung, anger in the liver, and fear in the kidney. For this half hour massage there is no need for the patient to remove clothes, so it is a lovely way of receiving a massage where body image may be an issue, or where lines and feeds are in place, making removal of clothes difficult. This massage therapy can be given not only in a clinic, but also on the day unit, on hospital wards and even in an intensive care unit. In working the meridian system the therapist is able to work the whole body, reaching areas other than the contact zone. Patients have commented that this deeply relaxing and soothing massage is; “one of the best massages I have ever had”. It has been proven to be beneficial with problems of; sleep, headaches, anxiety, watery eyes, shoulder and neck tension, sinusitis and panic attacks, jaw tension, fear, emotional trauma/distress. Patients are treated in a private treatment room in the Sir Robert Ogden Macmillan Centre. Patients will have a one to one consultation with the complementary Therapist and give informed consent before receiving treatment.